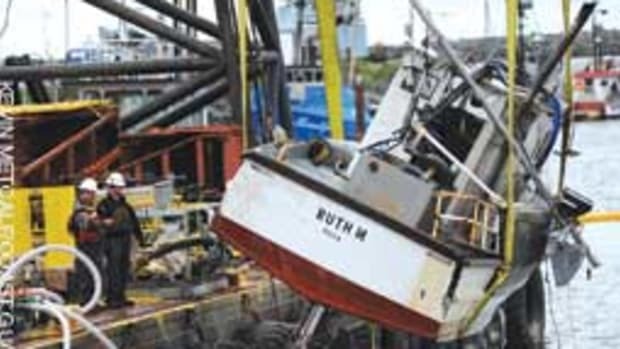 The 48-foot fishing vessel Sisiutl is hard aground in Portage Bay, Alaska. Winds were 35 mph, and seas were running 4 to 8 feet at the time of the grounding. 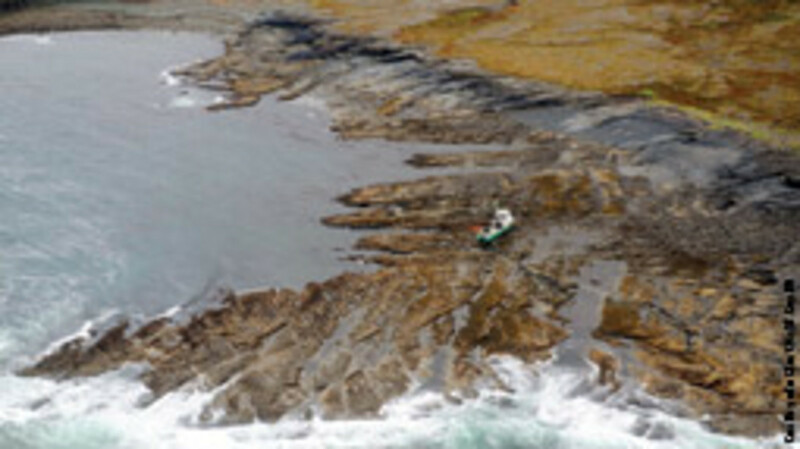 When the tide came in, the boat was towed to Kodiak and hauled for repairs. In a span of about 45 minutes, David Esposito and his two crewmembers saved eight people, including a 2-year-old girl, from the roiling waters of the Susquehanna River during a violent hailstorm with 65-mph winds. 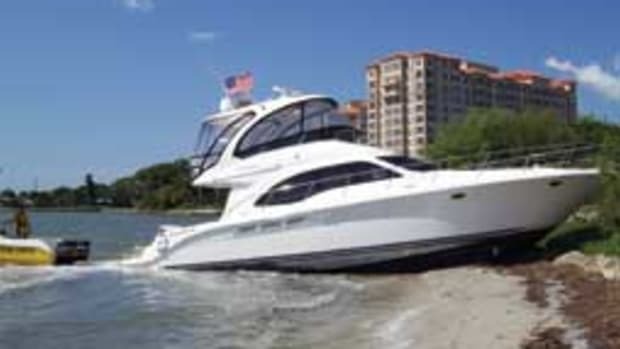 The dramatic rescue received no media coverage — until now — says Esposito, 48, who lives in Strasburg, Pa., and was running his 2006 Sea Ray Amberjack 270 when the storm hit on Aug. 15, 2010. The storm developed quickly. First, the sky darkened. 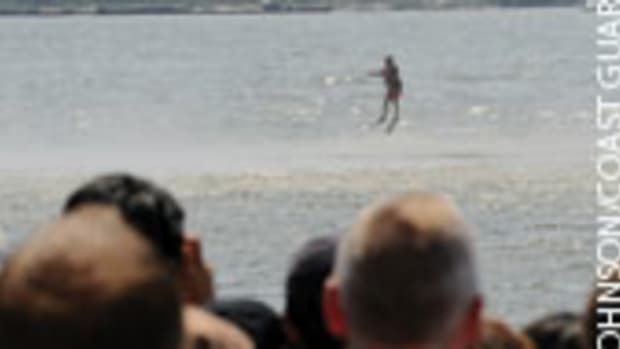 That’s when Esposito, his wife, Darlene, 56, and their friend Gary Sikorski, an electrician from Shelton, Conn., began motoring back to the Port Deposit, Md., boat ramp on the Susquehanna. Pounded by hail, they heard the screams of three people whose 15-foot bass boat was swamped. 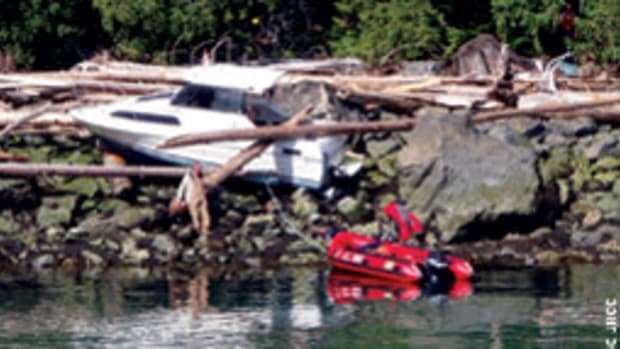 “Water was all the way to the top of the gunwales,” Esposito says. 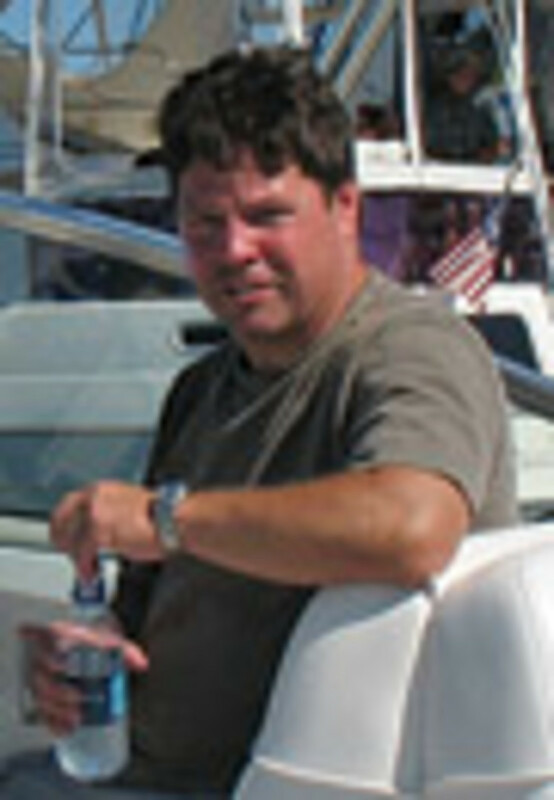 Powerless and without communications, the boat was drifting fast and about to crash into a concrete I-95 bridge pylon. “We got a line to them and got them under tow and pulled them away from the bridge,” Esposito says. After the three were aboard, Esposito started heading upriver, back to the ramp. Within minutes, they heard voices again. Shane Youlton, 23, and two women in their early 20s were huddled in the water, holding a small child. The boaters had become separated from their 1959 14-foot Whirlwind, which sank after being swamped by a wave. The women and child were wearing PFDs; Youlton says the boat sank before he was able to don his own. With the bass boat still in tow but the storm subsiding, Esposito motored to the Port Deposit boat ramp, where police and paramedics determined that no one was injured. Youlton says he had nightmares for weeks and was unable to get on a boat for months. And it turns out Youlton’s friends rose to the occasion, too. They were able to refloat his wooden runabout. These young sailors are all smiles after their 12-foot catamaran capsized about 200 yards off Ponte Verde Beach, Fla. All were wearing PFDs and sitting atop the boat at the time of the rescue. A Coast Guard crew rescued three Strafford, N.H., men who were lobstering when their 18-foot boat capsized June 24 about a mile off Rye, N.H. 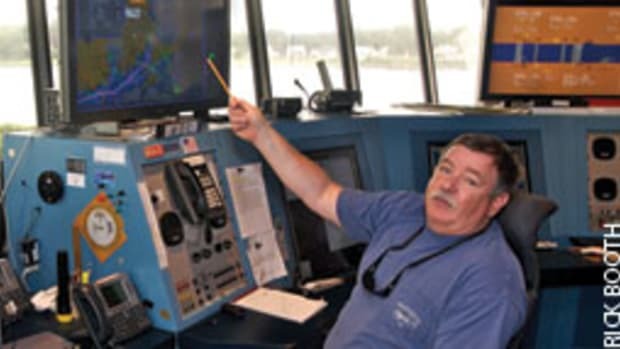 The Rye Fire Department contacted Station Portsmouth Harbor about 10:30 a.m., reporting that the men had called 911 after a wave came over the stern and the boat capsized. The men, ages 20, 21 and 22, were unhurt. A C-130 Hercules crew from Coast Guard Air Station Sacramento, Calif., completed searching an 803-square-mile area July 12 in the Sea of Cortez near Isla San Luis, Mexico, as part of a wider effort to find seven Americans missing from a charter fishing boat that sank July 3. There were no plans for additional flights, and the Mexican navy officially suspended search operations. More than 40 people were on the fishing boat, according to several reports. 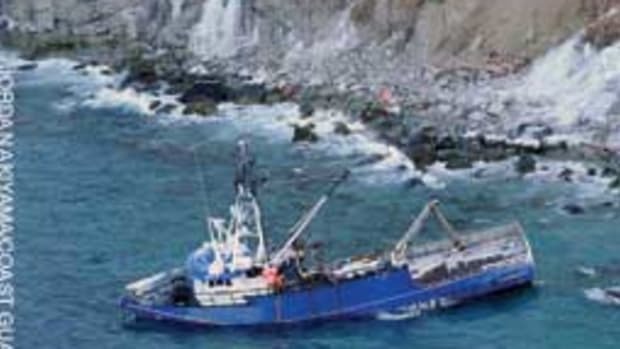 The Mexican navy and other fishing boats rescued 35 of them. The Coast Guard conducted 10 aircraft missions with Hercules C-130 turboprop aircraft out of Sacramento and HH-60 Jayhawk helicopters from Air Station San Diego, searching more than 7,303 square miles. The sailing community mourned the loss of two competitors who died in July after capsizing in a violent storm during the Chicago Yacht Club’s annual Race to Mackinac, which runs from Chicago’s Monroe Harbor to Mackinac Island in Michigan. “It’s the first fatality in the history of the race, and this is the 103rd,” Chicago Yacht Club communications manager Rachelle Treiber says. The Kiwi 35 WingNuts capsized after midnight July 17 in 4- to 6-foot seas and 50-mph winds about 13 nautical miles northwest of Charlevoix, Mich., and 10 miles east of South Fox Island, according to Petty Officer 3rd Class George Degener, a public affairs specialist for the Ninth Coast Guard District in Cleveland. 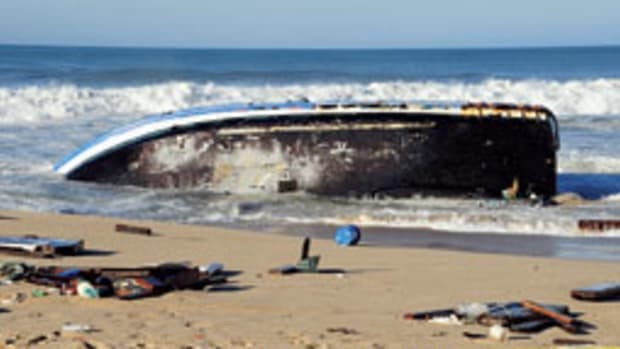 The lost sailors are WingNuts skipper Mark Morley, 51, and Suzanne Bickel, 41, both from Saginaw, Mich. The crew of the competing sailboat Sociable, a Beneteau 40.7, recovered the other six crewmembers from WingNuts. The survivors were Christopher Cummings, 16; John Dent, 50; Stan Dent, 51; Peter Morley, 47; Stewart Morley, 15; and Lee Purcell, 46. 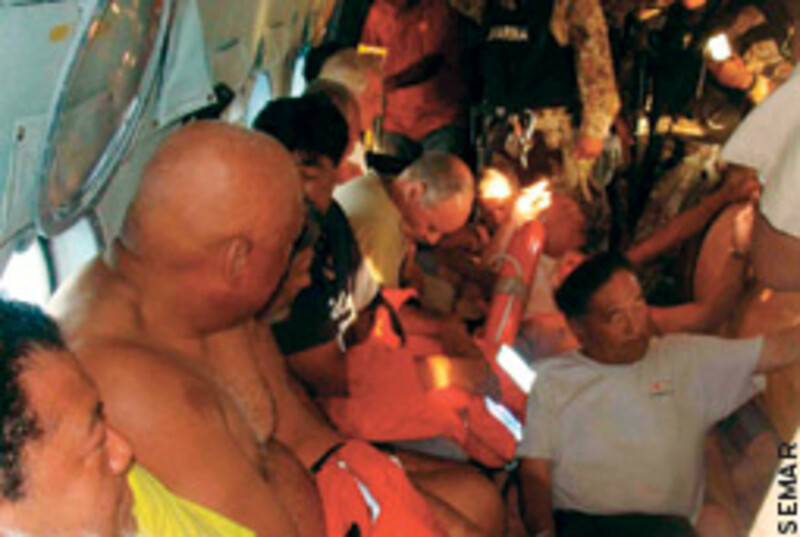 Sociable reported the capsize to the Coast Guard at 12:40 a.m. July 18. Morley and Bickel were found about eight hours later by rescue divers, Degener says. 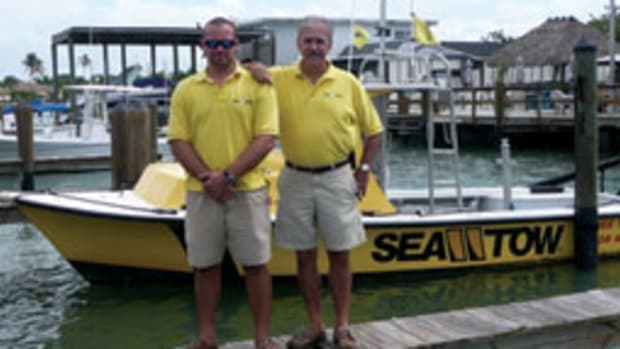 One of the racing boats recorded wind speeds of 100 knots, according to an article in a Sail-World.com e-newsletter. “There was more wind than I’ve ever experienced in 35 years of racing all over the Great Lakes and on the oceans,” Peter Wenzel, a co-skipper on the Fast Tango, told the newsletter.